Gasoline has become a basic need as it allows you to use all the perks of modern life. This means that you can have your car running on gasoline – your groceries would also be a lot more expensive if transportation was slower, but since many vehicles use gas, transportation is made possible at fair prices, making everything more available and thus less expensive. 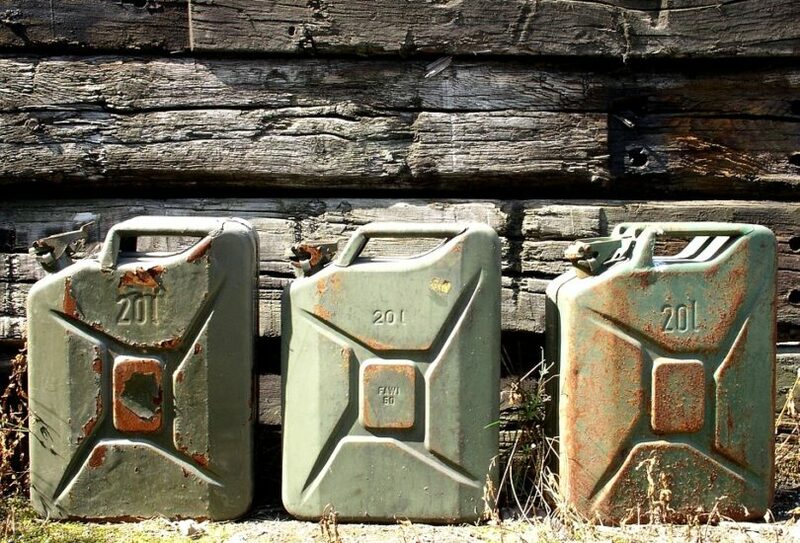 When it comes to discussing possible SHTF scenarios where purchasing and storing gasoline might not be possible, there is the possibility to store gasoline. But, the main question here is: how long can you store gasoline and in what conditions? Having your own gasoline storage means that you would have enough supplies to use for transport and for fueling your generator in case you have one for home usage. Storing gasoline might be a problem as generally finding a proper storage for gasoline and keep it safe and secured along the way can be difficult. 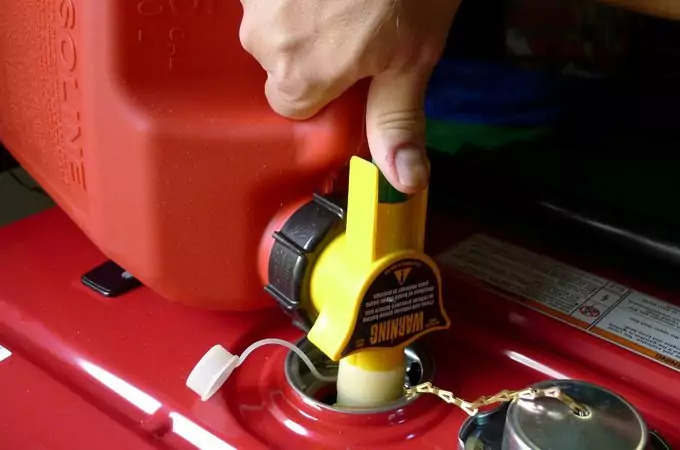 If you still want to have gasoline stored at your home, just to make sure you have everything you need in case purchasing gasoline becomes impossible, this is what you need to learn on how to store gasoline properly and safely. You’ll need this precious liquid for your own bug out survival vehicles, as shown in our article. In gasoline, there are molecules that are in charge of carrying energy needed for starting and moving devices that run on gasoline. Those molecules are called octane. Octane is constantly degrading, so over time, even if the gasoline is stored in the engine of your car, the energy is falling off as the amounts of octane are lowering. This is not a problem if you are using your stored gasoline for starting and using generators, but if you are using that gasoline for your car, over time, when the amounts of octane are very low your car won’t be able to start. With high-octane gasoline, gasoline can be stored in containers for barely 3 months and low-octane can be stored for up to 6 months. So, eventually, every container of gas stored should be used in less than 6 months, where you would need to be renewing your supplies every once in 3 to 6 months. But what if you want to keep it for years? You can actually – but how? There are several products that can help you extend the shelf life of your gasoline supplies, where instead of having your gas degrading and becoming completely or almost useless in 3-6 months you can have the octane life extended to more than a couple of years. These sorts of products can be purchased online or in specialized stores and are called gasoline stabilizers. With using stabilizers, you will have the octane molecules stabilized, consequently extending the life of your gasoline supplies. Depending on which country you live in, there are certainly some regulations concerning legal points on whether and in under which conditions you are allowed to store gasoline in your home or on your property. For example, if you live in the U.S. you are legally bound by the fire department safety regulations to keep and store your gasoline supplies properly so you would avoid accidents. In accordance with safety regulations, you may store your gasoline supplies in barrels of less than 5 gallons of capacity. The barrels used, need to be approved and shown to be safe for storing gas. You are allowed to keep no more than 25 gallons of gas altogether on your property. If you don’t take care that the gasoline on your property is safely stored and handled with in accordance with safety regulations regulated by the law in your country, the gasoline will be confiscated and you will be legally charged. That is why we strongly recommend that you get all the info researched on the subject of storing gasoline on your property – there are things you can and can’t do: you should be aware of the rights you have and the laws you need to respect before starting with making your gasoline storage. As we have already mentioned, gasoline has to be stored in appropriate containers to match safety precautions and legal demands when it comes to using and storing gas on private properties. Gasoline needs to be stored in barrels with a capacity of less than 5 gallons. 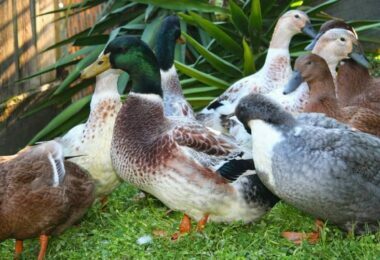 All containers have to have lids where you can use sealable containers or tanks. 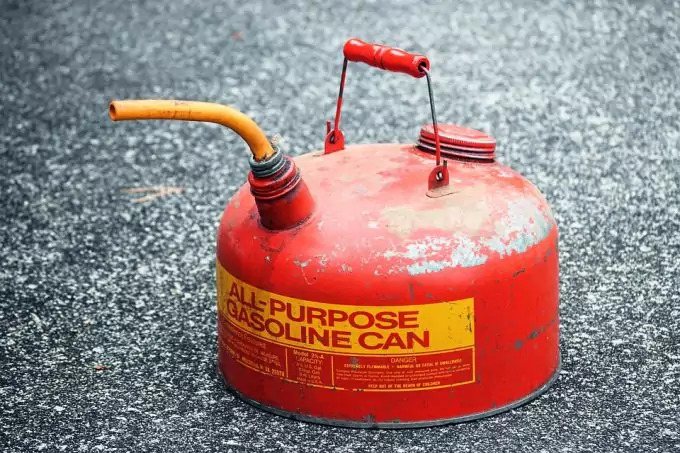 The best and the safest option is to buy a tank or a container that is specifically made for storing gasoline as gasoline is extremely flammable and may (and will) cause damage on the open flame. Even when you are filling small engines up with gasoline, you need to make sure that the engine is well cooled and cold to avoid accidents. You also need to avoid spills, consequently avoiding accidents, so keep your gasoline containers sealed. Every container you have bought and are using for this purpose has to be approved and made for the purpose of storing gasoline, making storing gasoline safe and legal. If you are planning on storing gasoline on your property, make sure you have replied to all safety regulations when it comes to picking the right type of containers for gasoline storage. 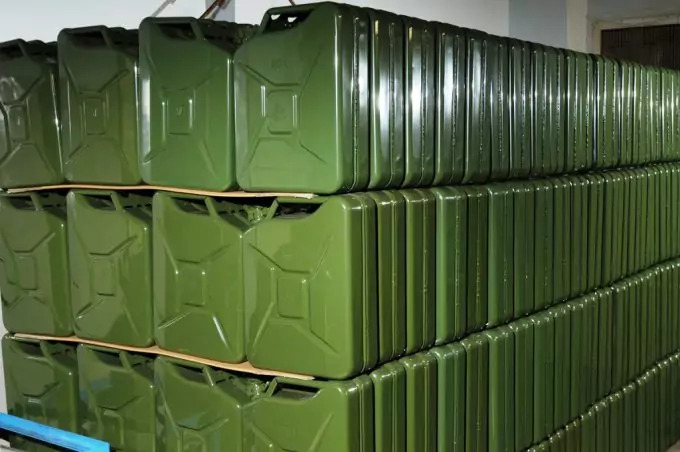 Besides from choosing the right type of containers for storing gas, you also need to make sure that the room where gasoline is stored is indeed the most suitable environment for keeping gasoline. Otherwise, you are risking having an accident with gasoline spills, fire and poisoning. In order to have a suitable storage room for gasoline, the room temperature should be normal and kept cool. Gasoline containers should be placed away from light sources, such as direct and indirect sunlight. This is why the basement could be one of the best possible choices for storing gasoline. If there is a furnace in your basement, avoid placing the gasoline containers there and try to find more suitable and safer storage room for the gasoline you are saving for rainy days. Also, you should keep the gas containers from any and every possible heat source: hot water boilers, furnaces and similar devices with heat emissions, regardless of how low heat emissions are considered to be – having containers placed near or in the same room with heat sources is considered reckless and utterly unsafe, so in case of an accident, you are risking losing your home, your supplies and your life even. That is precisely why gasoline needs to be handled and stored with care. Gasoline tanks and containers should also be kept far from any sources of ignition, such as pilot lights. Make sure you keep all the gasoline containers for at least fifty feet away from sources of ignition. The basement might be a fairly good option for storing gasoline on long term basis, but as safety is our main point of discussion, we need to stress out that keeping dangerous, flammable substances such as gasoline, in your living space and within your home is not safe at all. Even though you have all safety regulations in place, there are some things you just can’t control and one of the external factors that might stand in a way of safety is having children playing around the room where gasoline is stored. Gasoline should be kept away from children, no matter how safely stored you think your supplies are. In order to avoid any possible accident, you should consider (definitely consider and plan out) storing the gasoline tanks outside your home. You could use a shed if you have one in your backyard, but you can also easily make one. Make sure that the shed is well made, strong, resistant to rain where you know that your supplies won’t be affected by bad weather and where there are no heat sources that can affect the gasoline and cause accidents. You can also have the gasoline stored in a garage as long as your garage is safe enough having it built in a way that your living space is separated from the garage. Remember: keep the gasoline away from children, and preferably away from your living space. 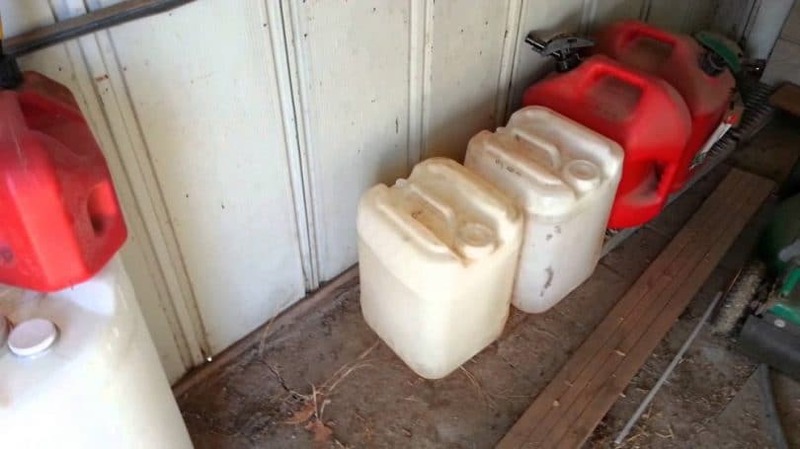 Another reason why gasoline should be stored outside your living space is because of the fact that gas evaporates and the vapors produced are heavier than air, so when evaporating, gas can travel across the ground (floor in this case) – in case there is a source of ignition anywhere near, you are probably doomed to facing devastating consequences. Safety first! As we have already mentioned, when pouring gas in smaller gas tanks (like the one you have built in smaller portable generators and lawnmowers), you need to make sure that the engine is completely cool before refilling and filling. Handling gas as well as storing gas with caution is something, basically the first thing, you need to pay attention to. 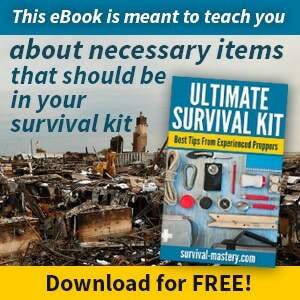 So, when using your gasoline supplies, although gasoline tanks are stored indoors, when handling gasoline, you should take the tank you are using gasoline from out of the shed or you garage when you are holding it stored and use it outdoors to prevent evaporation entering your respiratory system and having gas vapors stuck in the room. Even though a burning cigarette cannot actually be categorized as a source of open flames, you should never smoke in the room where gasoline is stored. When using gasoline, don’t mix the pure gasoline with kerosene or diesel fuel in order to get more fuel – this is everything but safe. Also, do not use gasoline for lamps and generators that are made for running on kerosene or diesel – you can have your devices broken and dysfunctional and even cause fire and explosion. Keep the storage room well ventilated to avoid having vapor all over the ground, also avoiding overheating in the room. Keep the room temperature a little below normal or normal. You cannot have gasoline spills tolerated around gasoline storage, so all spills have to be urgently collected and taken care of. In case the spills are smaller, you will use rags, cloths, sawdust or paper to absorb the gasoline spills. 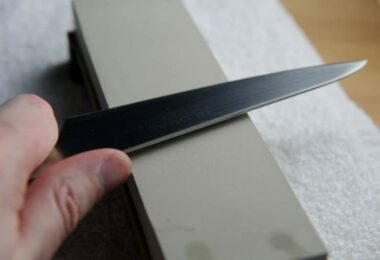 Throw the cloth you have used for collecting spills away, stored safely in a container, also away from heat sources, children and open flames. Containers for disposing of gasoline spills and items you have used for collecting gasoline spills have to be properly labeled and stored to match safety precautions, all handled with care. Never should you throw away spills and spill collectors in a sewer, in the can with other garbage or toilets and drains. In case you do that and miss on disposing of gasoline spills properly, you might cause a fire or have water sources poisoned and contaminated, putting yourself and others in danger. You will be legally persecuted for reckless behavior towards the environment. You will need to check disposal regulations in the country of your residence to make sure every disposal is handled properly. Larger spills can be collected and stored into containers as well. Handle large spills with care to make sure that you are following up with safety regulations in your country. Since you can’t get rid of the spills and items you have used for collecting as you would just let garbage men handle the rest of your disposal, you need to check with local authorities to find out where you can dispose of gasoline spills. Regardless of whether you are using your gasoline for generators or your car (or even both), the most important thing to remember on the topic of gasoline storage and how to store your gasoline is that safety always must come first. 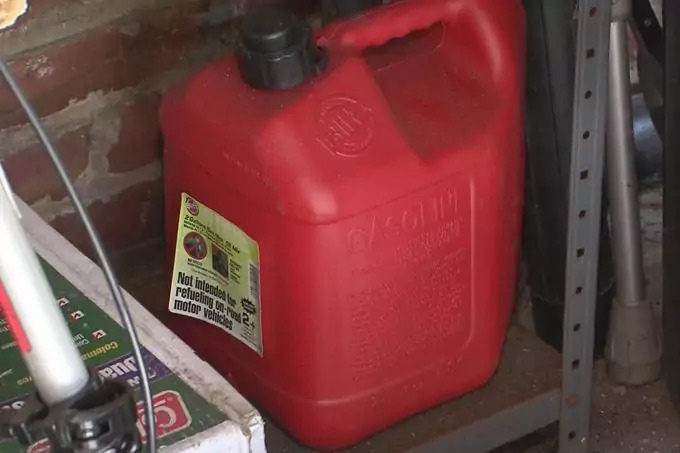 Make sure the gasoline is stored properly in approved and labeled containers, away from your living space, heat sources and out of the reach of children. 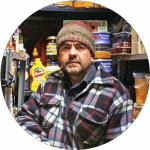 When stored properly and with extended shelf life you will have enough gasoline supplies in case any of possible SHTF scenarios come to life. Want more options? 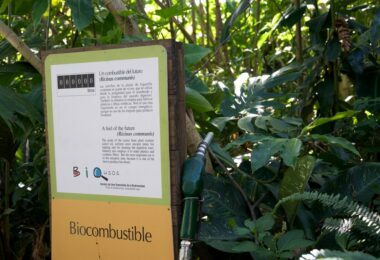 See our article on how to make your own biofuel to juice up your equipment.